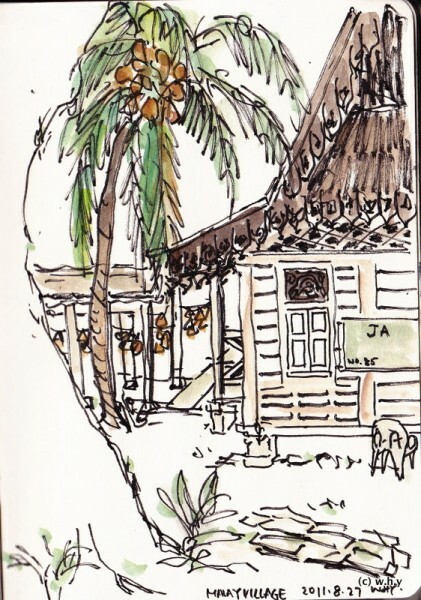 Joined the Urban Sketchers Singapore to sketch at Malay Village and Joo Chiat Road twice this month. 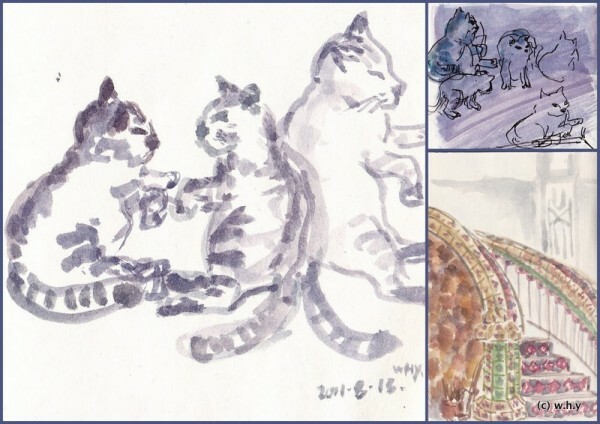 We first did some thumbnail sketches, then we were given an hour to go back to one of the thumbnail locations to paint a larger piece. 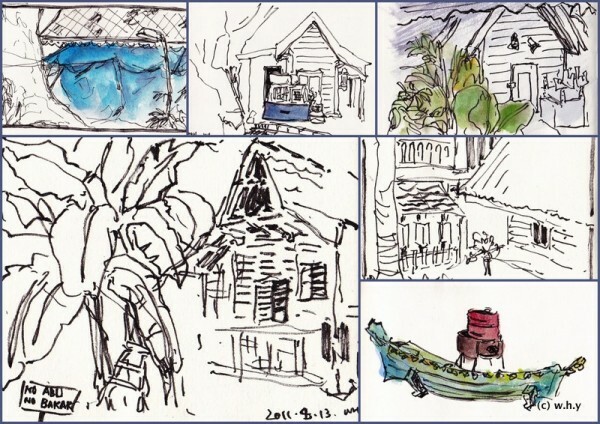 I liked the idea of thumbnail sketches and the multiple sharing sessions that we had, there were more interactions among the participants for sure. 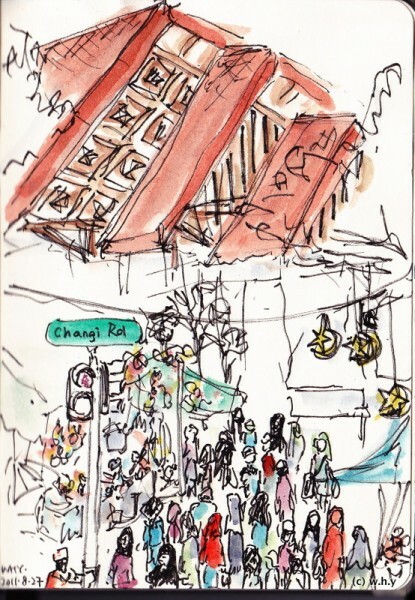 We then walked to the junction of Joo Chiat Road and Changi Road to capture the Hari Raya spirits and decorations. I sketched with the new orange STAEDTLER triplus fineliner. 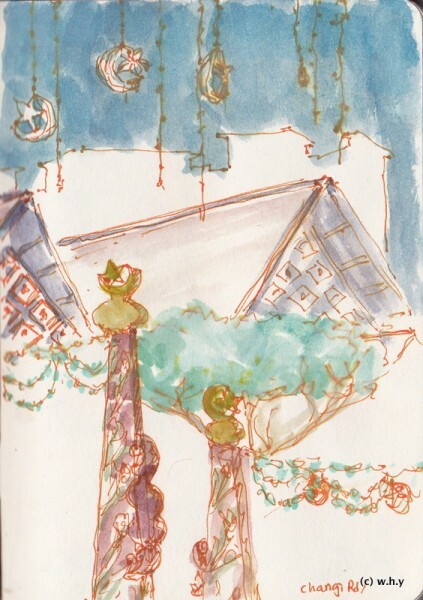 I also brought the Koh-I-Noor Mona Lisa watercolor wax crayons that bro got me, and did a quick sketch with it. But I don’t like how it looks after adding water, so I added ink lines again. 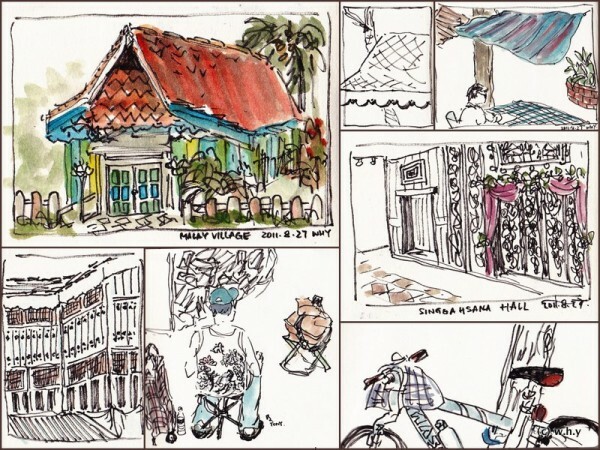 Last Sunday, we went back to the same place for the official August sketchwalk. Again, we started with some thumbnail sketches before spending longer time on a larger piece. 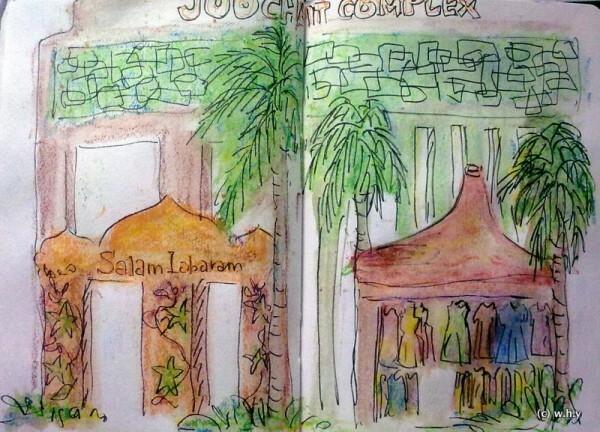 The market was packed with people, because it was only a few days away from Hari Raya.